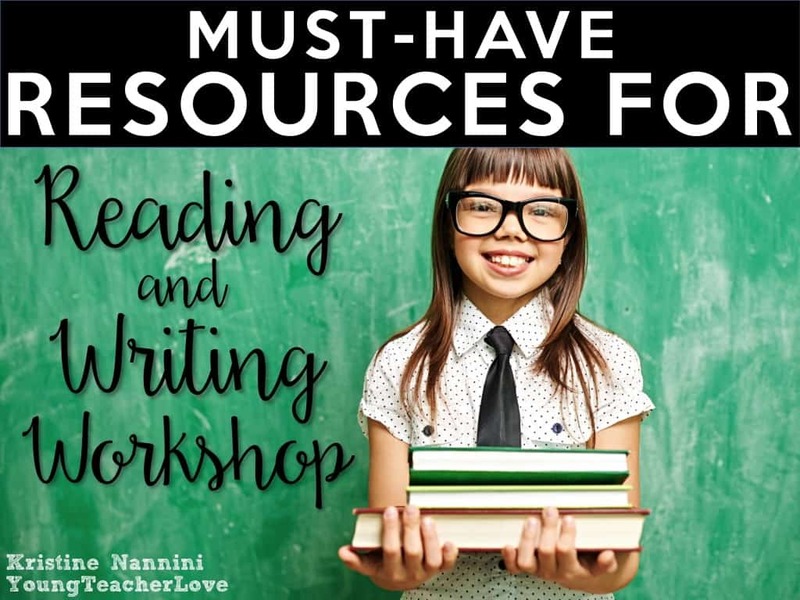 I’m here to share some of my Must-Have Resources for Reading and Writing Workshop. A great classroom library that is organized for your students, easy for them to use, and contains a whole plethora of books is so important. Students need to feel like they have access to many different types of books. They need to be exposed to informational texts, literature, graphic novels, magazines, etc. 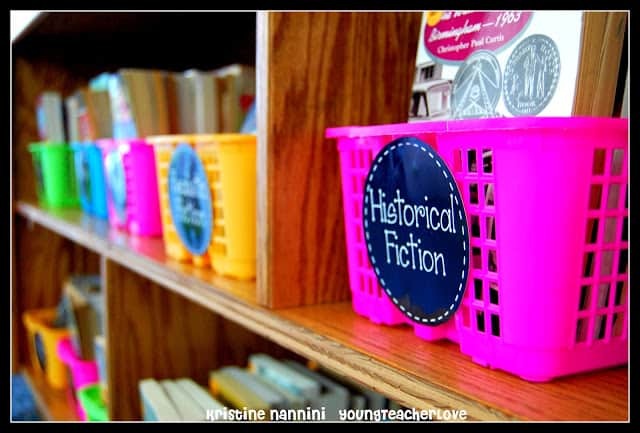 I organize my library with book baskets and organize the book baskets by genre, series, authors, Newbery Award Winners, and more. 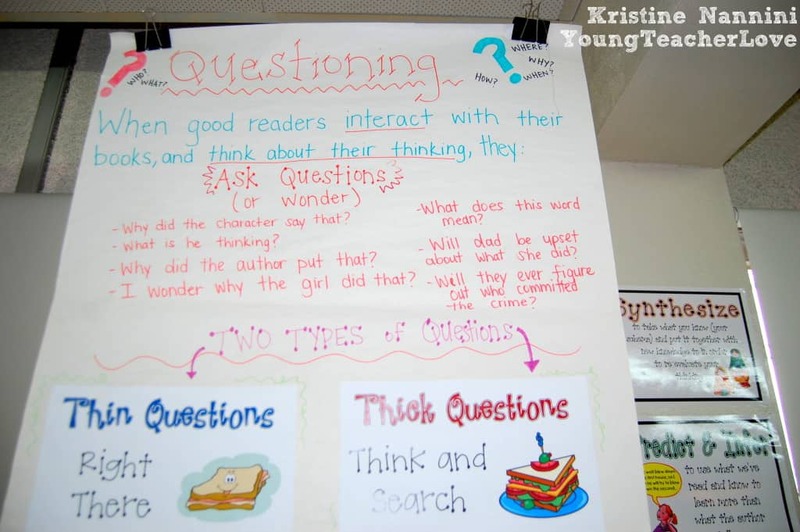 Anchor charts are important because they make thinking visible when both the teacher and students record content, strategies, processes, and more during the learning process. 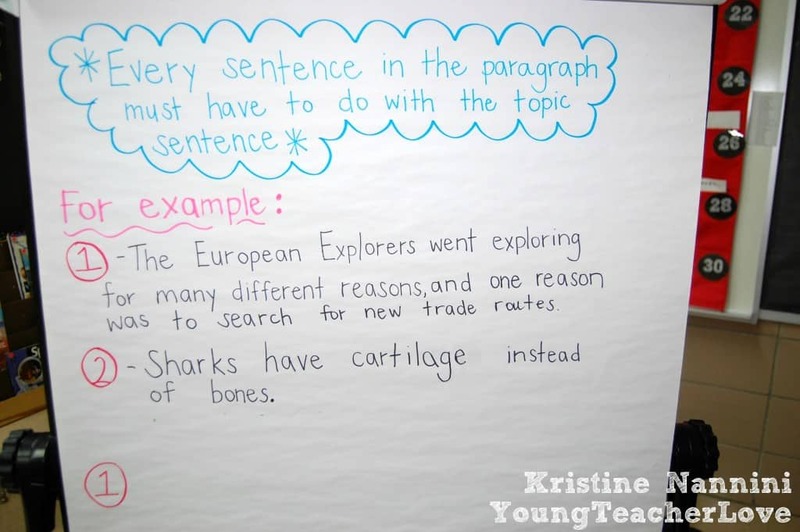 It’s important that students have a role in helping to create the anchor charts. This gives them ownership in their learning. I make sure to keep current anchor charts posted in our room for students to refer to. 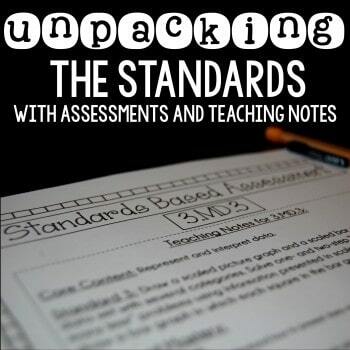 By posting anchor charts, the learning remains relevant and current to students. 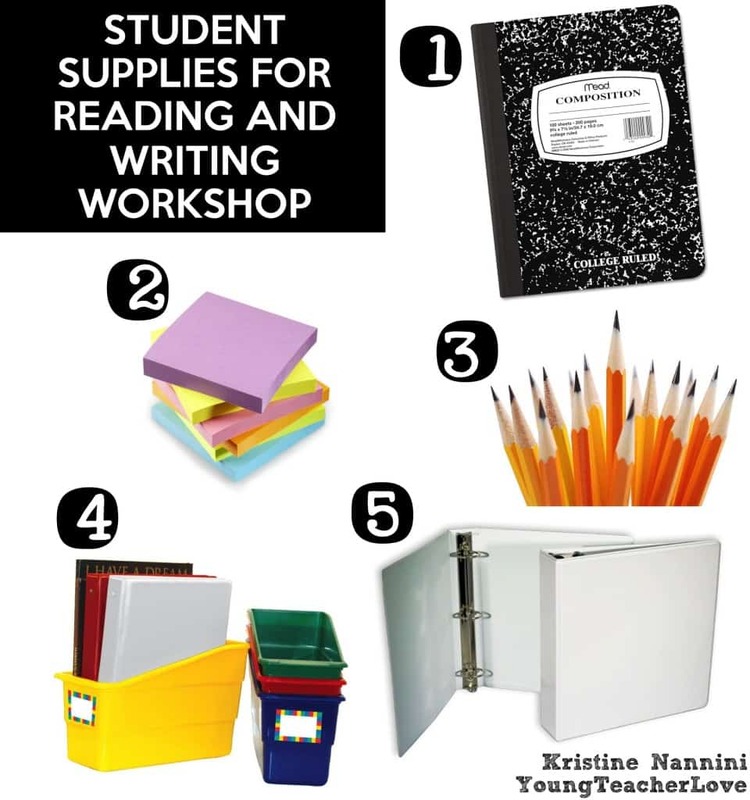 Also, they help remind students of prior learning and help them to make connections as new learning happens. 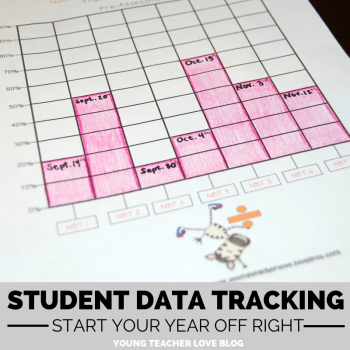 I have written numerous blog posts about the benefits of having students track their own data. 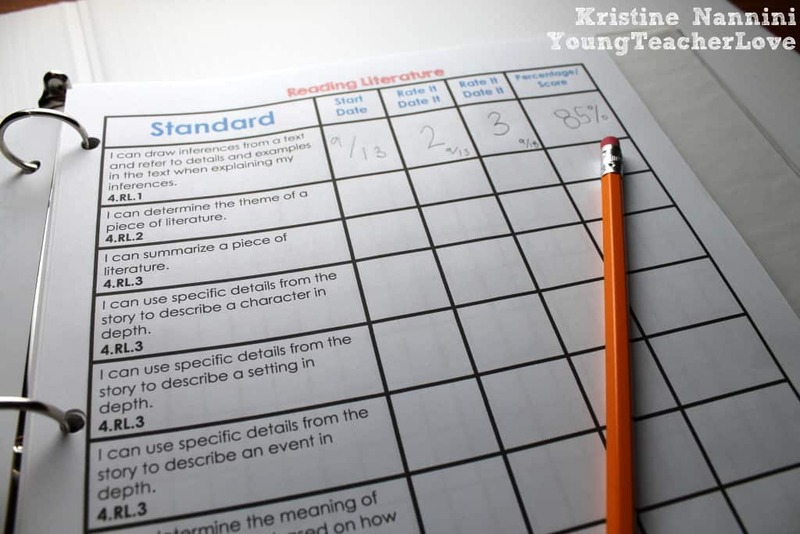 With Student Data Tracking, my students test scores have raised significantly and their intrinsic motivation and self-efficacy have gone through the roof. They are an extremely important part of our Reading and Writing Workshop time. 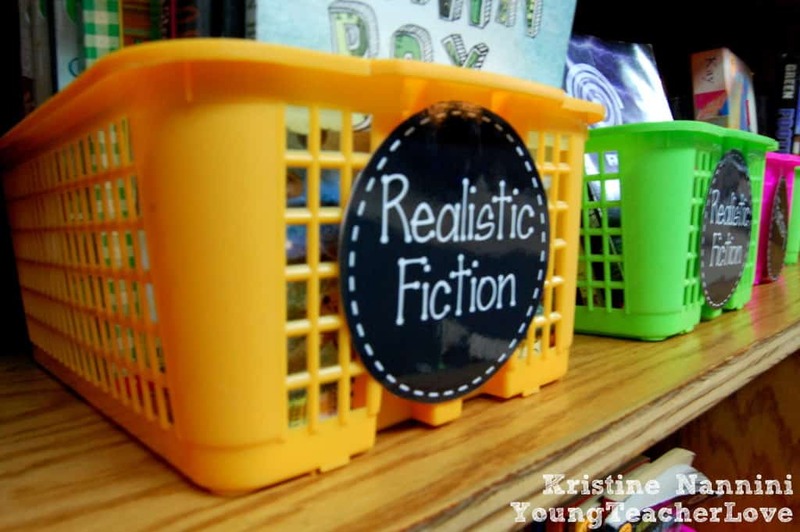 Can you tell me where I might find the genre labels you have on your book baskets? 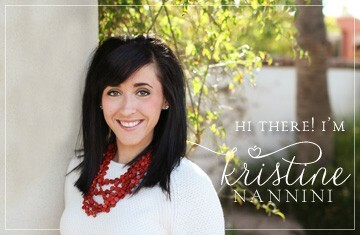 Hi Tiffany- Send me an email at nannini.kristine@yahoo.com and I’ll give them to you! :) Thanks! Hi Haley- Please send me an email. Thanks! I would also love the labels!! Please send me an email at nannini.kristine@yahoo.com. Thanks! 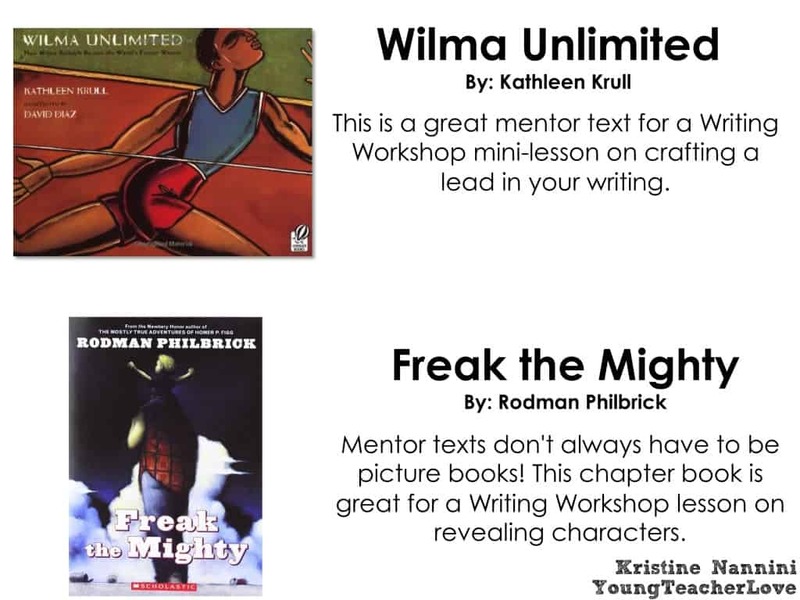 Do you have a comprehensive list of the mentor texts you use? Hi Miranda- Thanks for your comment! 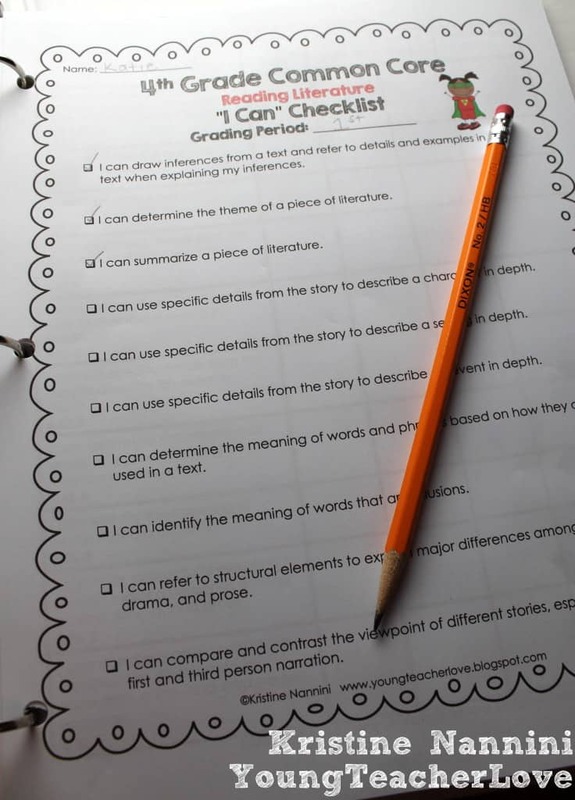 I have a comprehensive list of all the mentor texts I use for teaching my three different character units here: https://www.teacherspayteachers.com/Product/Analyzing-Characters-Pack-Common-Core-Aligned-656011. 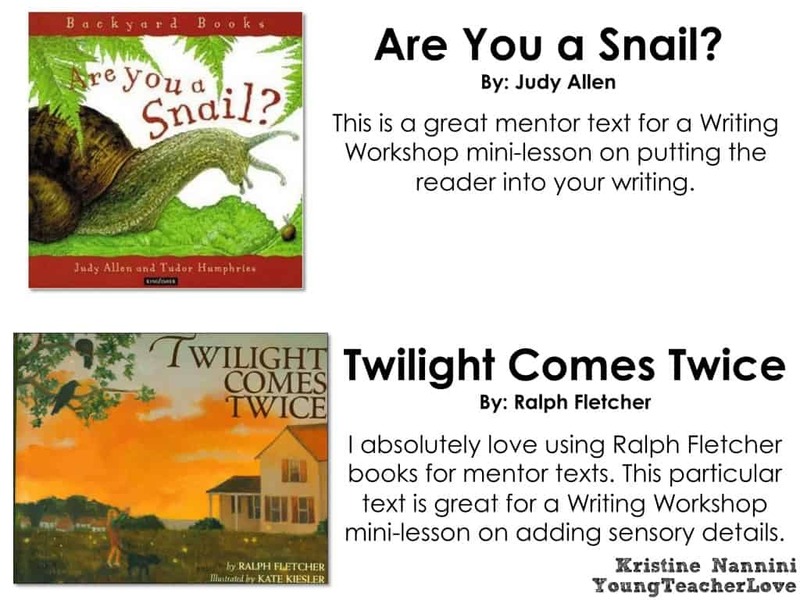 Besides that, you may want to scroll through some of my blog posts to read more about different mentor texts I use. I hope that helps! Wow! I am new to your blog and I am in love! This is my second year of teaching and first year in 5th grade teaching all subjects. Do you sell your genre labels by any chance, they are perfect! Hi Emily- Thanks so much for your kind words! You will love 5th grade! Send me an email at nannini.kristine@yahoo.com for the labels. Thanks! Hi there! LOVE your blog and all the goodies that you post! I also follow you on FB! Is it possible to get the genre labels that you show in the photos above? Please and thank you in advance! Hi Peggy! Thanks so much for your readership! Please send me an email at nannini.kristine@yahoo.com for the labels. Thanks! Hello! I just love the look of your new blog! I am going into my third year of teaching 5th grade, and I am thankful to have your resources! We do not have an ELA curriculum. I was wondering if you have a year at a glance of what and when you teach it? Thanks for all that you do! Hi Lauren- Thank you for your kind words! While I don’t have a pacing guide or curriculum map I follow, I’d be more than happy to explain my process. If you’d like, you can send me an email at nannini.kristine@yahoo.com. 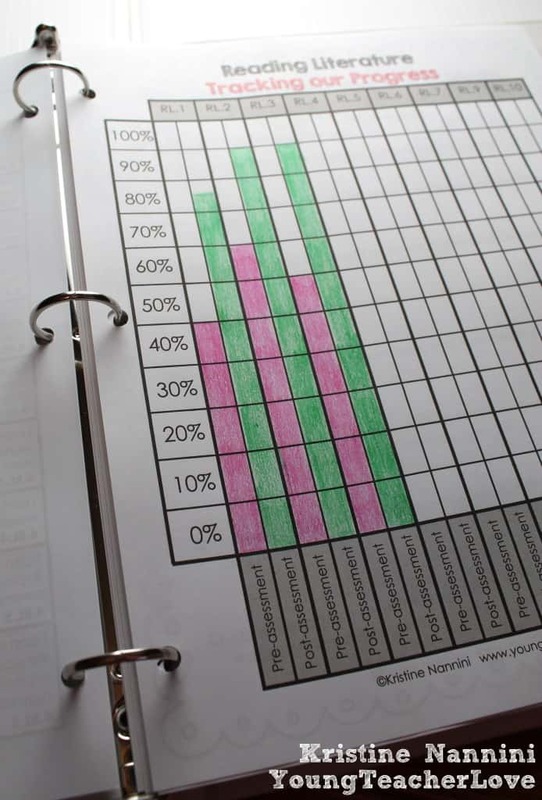 Hi Pam- I assume you’re asking about my Student Data Tracking Binder pages? 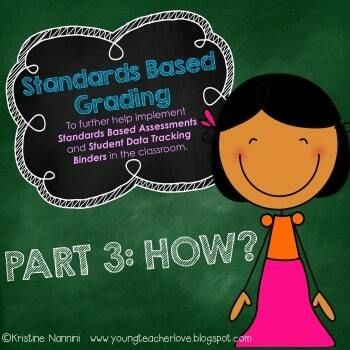 If yes, here is the link to them in my store: https://www.teacherspayteachers.com/Store/Kristine-Nannini/Category/Data-Binders-Data-Tracking Just copy and paste the link in your browser and scroll to find your grade level. Thanks!